Our Chief Instructor is T.S. Okuyama Shihan, 7th Dan. We have a close collaboration with Kurita Shihan of Kuritajuku Aiki in Mexico City. Chief Instructor T.S. Okuyama has studied Aikido for over 45 years in both the United States and Japan in the direct lineage of Morihei Ueshiba O-Sensei, the founder of Aikido. Okuyama Sensei is a native of Japan and began his training in 1972 under the late A. Tohei Shihan, 8th Dan. Okuyama Sensei earned a degree in engineering and returned to Japan in 1976, where he studied at Hombu Dojo in Tokyo and Gessoji Temple with H. Tada Shihan, 9th Dan. He returned to the US in 1979. In 1981, he began training under the late T.K. Chiba Shihan, 8th Dan, in San Diego. Okuyama Sensei founded Great Lakes Aikikai in 1988 in Ann Arbor, Michigan. He also taught Aikido at the University of Michigan. On January 12, 2014, Kagamibiraki, he received the rank of 7th Dan from Doshu. He also holds the title of Shihan (grand master). He relocated to Albuquerque in 2001. Okuyama Sensei studied Muso Shinden Ryu Iaido under T.K. Chiba Shihan and T. Mitsuzuka Shihan for over 35 years and holds the rank of 6th Dan with a Shihan title. 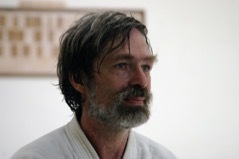 Accountant and illustrator Ron Druva started Aikido in 1980 and has trained under Nakazono Sensei, Chiba Sensei, Abbot Sensei, Hasan Sensei and Okuyama Sensei. He holds a rank of 5th Dan in Aikido and Shodan in Iaido. "Aikido for me has been a way of balancing my life and dealing with my problems and weaknesses as well as utilizing my strengths. I began my training as a warrior and for violent self defense. Over the last 40 odd years, this has evolved into a desire for non-damaging control of conflict and a search for enlightenment. Along the way, I have found and become part of a great school and good friends." 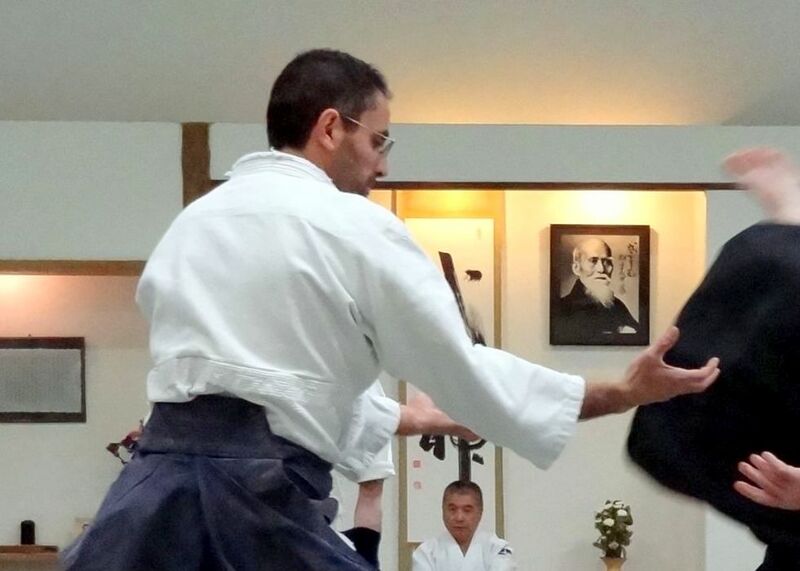 David is a research engineer who began training in Aikido in 1995 at the urging of his father. He holds the rank of 5th Dan in Aikido and 3rd Dan in Iaido. "I see Aikido training as a mean of self-assessment and human growth." Steve is a writer and has been practicing Aikido since 1995. He holds the rank of 5th Dan in Aikido and 3rd Dan in Iaido. 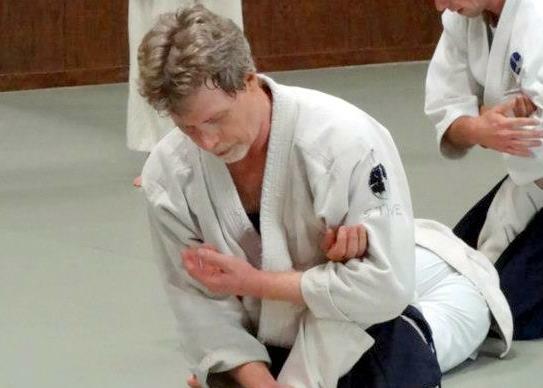 He had previously trained in Judo and Karate, but came to Aikido seeking a martial art he could practice for the rest of his life and that would give him the option of defending himself without doing lasting harm to his attacker. He is the main teacher for the dojo's kids classes. Sophia holds the rank of 3rd Dan in Aikido and Shodan in Iaido. 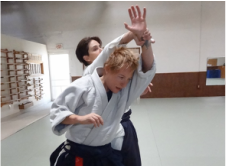 "Aikido is both a challenging and rewarding practice for me - you never stop learning. 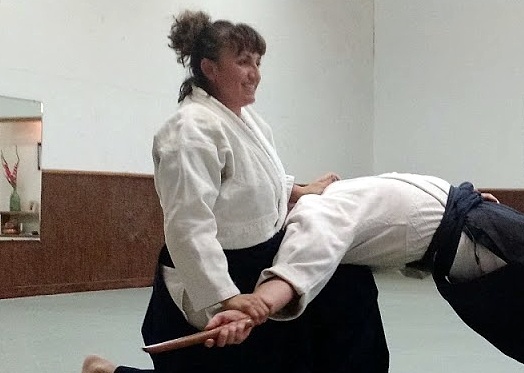 As my life has changed and evolved, so has my Aikido practice. What has remained the same for me is finding analogies between my practice on the mat and everyday life." Amanda is a professional journalist, musician and writer. She has been training under Okuyama Shihan since 2009. She holds the rank of 3rd Dan. "I came to Aikido because I was attracted by the noncompetitive philosophy and the intense but fun physical training. I love that we still focus on the martial origins of Aikido at our dojo. It keeps my mind, my body and my spirit engaged."